Where’s the Best Beef Hor Fun? 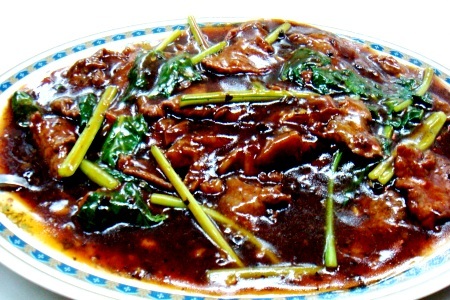 Though Beef Hor Fun is never termed as one of the local delights, this popular dish has huge fans throughout. Still, it’s very easy to go wrong on this one. Clumpy Hor Fun (not stir fried well), white in colour (this is not San Lao! ), tasteless and thin sauce (not enough seasoning), tough beef (too long on the wok) and lack of the flavour (control of the fire which only seasoned chefs can handle). 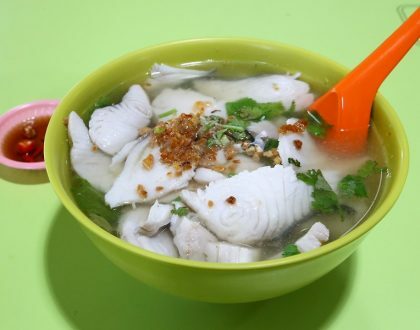 Here’s a round-on on some of the more popular Hor Funs in Singapore. This was once THE Beef Hor Fun. Once unarguably the best. Once. 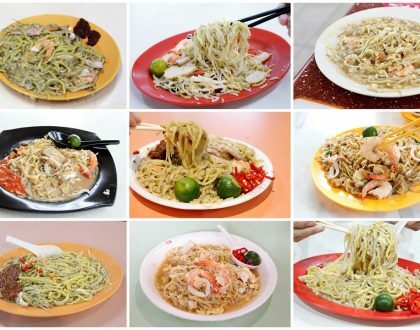 During my uni days, my hall mates would drive all the way down from NTU just to eat this at Geylang. I remembered that first bite. It was as though this was the most wonderful thing that I had ever eaten in my entire life. All the stress of the exams would be gone with a taste of the thick black sauce and tender beef. A life changing experience. 10 years down the road. While I still enjoy it, the quality has dropped tremendously. In the past, the sauce would stay thick all the way. But the last few times, it became diluted after a while. The horfun’s not as chao tar as before, and the whole flavour just wasn’t strong enough. The impossible parking and rude waitresses don’t help at all. My family’s favourite Beef Hor Fun. 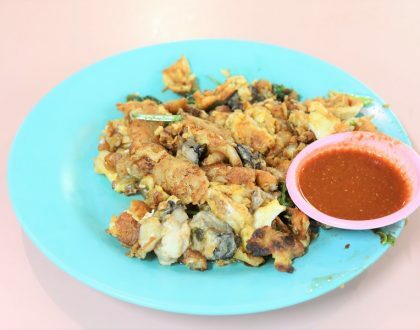 Termed as Geylang’s closest competitor, its edge will be the succulent beef full of bite, compared to Geylang which may be overly soft and tenderised. You feel there is substance. Plus, it’s value for money – $4 for a reasonable portion. The sauce is less distinctive than Geylang’s though. The black bean sauce, sprinkled with chilli has a lot of texture. What’s missing is that X-factor. A surprise find, since I am usually there for the other zhi char dishes such as Champagne Ribs and Braised Tofu. The Black Bean Sauce Beef Horfun was surprisingly good. The wok hei flavour, thick sauce and chewy tender beef suggested that the cooks were very skilled in frying them and controlling the fire so that it is not overcooked. The friend said it was even better than Geylang’s anytime, but the corn’s out of place. At $7 a plate, the heavier price may put some people off. I like my Beef Hor Fun with a lot of greens, and this version manages to balance the proportion quite well. While this eatery is more famous for their San Lao and Seafood Horfun, the Beef version is certainly above average compared to many of the others. The portion’s huge and there is always enough sauce to go around. And it’s black enough. Geylang’s still the biggest name in horfun, but Por Kee reaches for a surprise win. Not forgetting that at Hong Kong Street Chun Kee – the prawn paste chicken there is to die for!>………….. Did you notice that they are the only stall within that big big coffee shop? Former Geylang: You are right! In the past, it’s always Round 1 Frog Porridge, Round 2 Beef Hor Fun, Round 3 Yong He. Now it’s replaced by some laksa steamboat. The whole feeling isn’t there anymore. And Yong He was VERY quiet. Most don’t know where it has relocated. SunnyDrop: Yup, most would order the San Lao + Ha Qiong Kai combination. It’s simply yummy.